You will be fall in love this cool blouse. 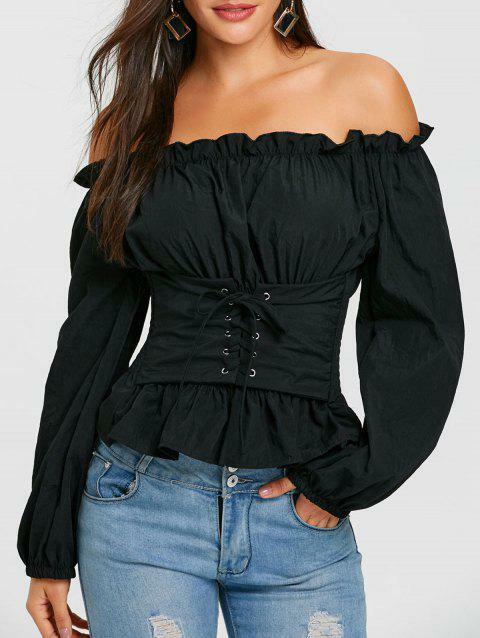 It features a trendy off the shoulder shape.Lace up detail in the front create a charming look! Throw this comfortable blouse on over jeans or pants for a relaxed and chic look. Good quality product . Fast shipping and same product as mentioned in the description.! Q:I want this product along with many others but do you have pay on delivery?? Shipping costs depend on the shipping method that is selected and weight, along with the shipping time and the destination country.